← Our 7th Annual Gourmet Dairy & Cheesecake Shavuot Dinner! Shavuot All-Night Torah Learning in Hebrew, English & French! 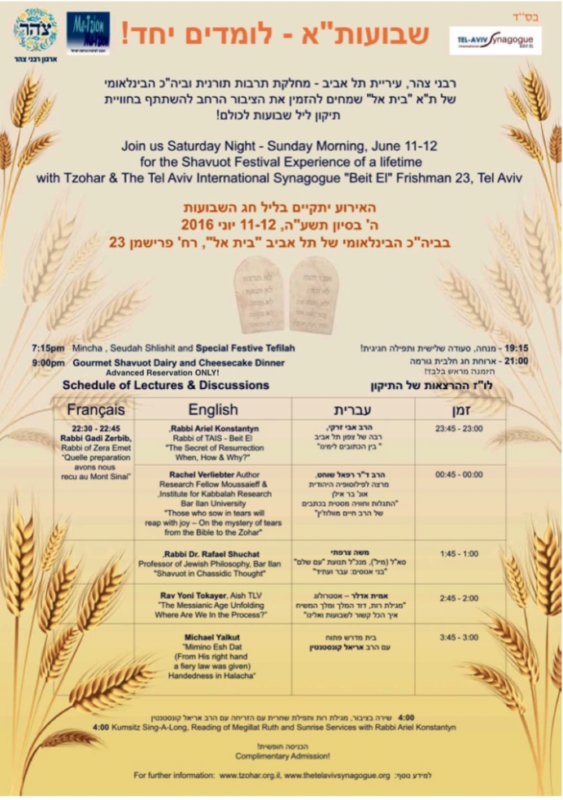 Join us Saturday Night – Sunday Morning, June 11-12 for the Shavuot Festival Experience of a Lifetime! We will have a whole night of learning, with parallel classes in Hebrew, English and French, and plenty of food and drink to keep you awake and noshing the whole way through. This entry was posted in Community, Events, Holidays, Information, Shavuot, Torah, Upcoming. Bookmark the permalink.